The past two decades have been an exciting time for business and technology. The proliferation of information and communications technologies has changed the way businesses in all sectors strategize, compete and work. There was a major transformation in the dot-com era as companies developed their digital presence. This included their website, e-commerce functions, databases, and digital tools for collaboration and communication. Statista reports that 69 percent of the Canadian population had a smartphone in 2018. This number is projected to rise to 79 percent in 2023. The number of mobile users across the globe is now estimated at over 3.7 billion and growing. Statista says mobile data traffic across the globe is projected to increase nearly sevenfold by 2021. Mobile commerce revenues were $669 billion in 2018, a significant jump from the $184 billion recorded in 2013. As you can see, the future potential of mobile technology is enormous. The Internet of Things (IoT), for example, is set to drive connectivity even further as it gathers data from mobile devices, credit card purchases, and transportation networks, among other places. The business advantages of enhanced mobility are plentiful. In this article, we’ll dive into four key benefits of adopting mobile technology. The most immediate benefit of mobile technology can be seen in your employees’ productivity levels. Confidently place that smartphone, tablet or other mobile device in your employee’s hand and watch them thrive with real-time communication, enhanced access to customer data, and improved workflow management. Team managers and employees alike will love the productivity benefits offered by mobile apps. Those valuable customer relationships don’t flourish while you’re sitting in your cubicle. Customer engagement grows out in the real world — at client sites, collaborative meetings, sales demos, conferences, and industry events. However, the massive growth of email has taken away some of these opportunities for in-person connection. Have you ever had a sales rep who simply sent out the emails, then waited for the replies? It’s one of the downsides of the modern workplace and it frequently creates a roadblock for reps who are struggling to gain traction. As the mobile transformation takes hold, your reps will have a greater ability to form strong relationships by meeting customers where they are. Take a look at your company’s growth strategy. Chances are, your future growth will develop in two ways: expanding your organization and entering new markets. Increased mobility gives you increased flexibility in both of these areas. A mobile-savvy company is not tied to a specific location or customer base. With your data in the cloud and your team on the move, the possibilities for new developments are wide open. Enhanced mobility is an important factor in adding more people to your workforce. In fact, some of today’s growing companies are entirely remote as their mobile capabilities allow them to perform at a high level with no office or home base. Having the ability to recruit people from anywhere increases the talent and diversity in your organization. Mobility is also essential for expanding to new markets. In today’s global and networked economy, it’s no longer necessary to open a new office just to get a foot in the door in a new region. Instead, companies in every sector are taking advantage of mobile technology to acquire customers beyond their own country’s borders. Have you ever seen a business struggling to conduct analyses with outdated information, or relying on incomplete data while trying to manage customer relationships? It happens more often than we want to believe. Picture a manager who sets unrealistic targets based on inaccurate results from last year, or two sales reps who send conflicting quotes to a customer because neither one knew what the other was doing. Adopting mobile technology is an important step toward cleaning up your company’s data. When every employee is able to update a centralized database anytime and anywhere, it creates a single source of knowledge for your entire team. For instance, a mobile CRM app is great for ensuring that customer interactions and transactions are always kept up-to-date. 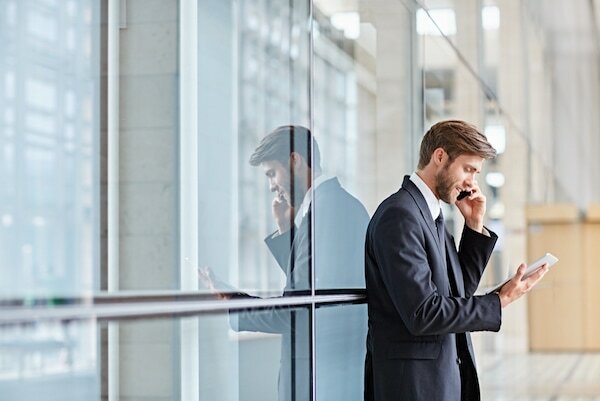 More and more companies are working hard to ensure that all of their business management tools — from their CRM and accounting software to their communications networks and servers — are mobile-ready. If you’re thinking of doing the same for yours, don’t delay! The sooner you act, the sooner you’ll see the benefits for both your business and your customers. 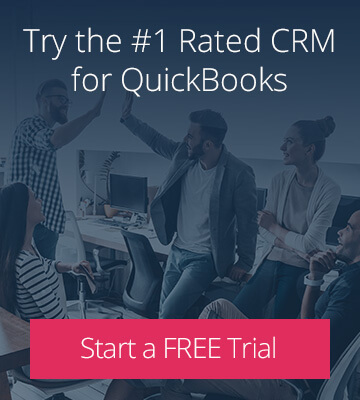 A CRM that goes where you do. 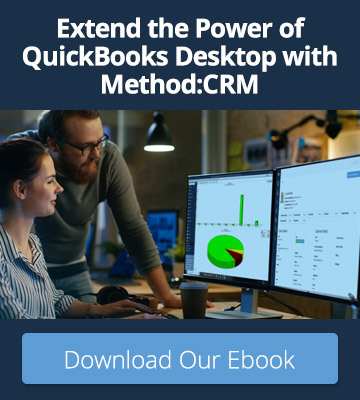 View customer and QuickBooks data on the go with Method’s CRM app for Samsung, Android, iPhone, and iPad.